FileBot may be downloaded and evaluated for free, however a license must be purchased for continued use. 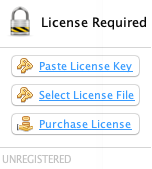 Licenses are per-user, rather than per-machine, so you can enjoy FileBot on as many computers and operating systems as you wish with your license. A valid license is required to unlock FileBot. A single license is valid on all platforms and can be used on multiple machines. You may download and evaluate FileBot before purchasing a license. Microsoft Store and Mac App Store purchases do not include a universal license. Need some help getting started? Join the forums and ask.